Jeff Fuller Designs offers masonry building. Whether it’s a retaining wall, an outdoor fireplace, garden boxes, walkways, or other landscape features, we can do it. We work with stone, brick, and concrete, so you can use the material that you prefer. Let us integrate our masonry into your landscape. With Jeff Fuller Designs, each design is unique and perfectly crafted by our elite team. When we jump into a stonework build, we want to make sure that the design is just right. We’ll work with you to settle on the stone material that best suits your landscape. With stone, you can achieve a natural aesthetic throughout your landscape. 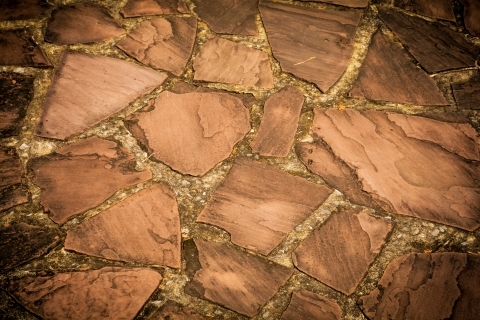 Use stone to create pathways and patios, walls and waterfalls, or an outdoor fireplace. Brick is classic. Utilizing brick throughout your landscape can aid you in connecting and grounding your home to it’s site. Like stone, brick can be utilized to create walls, pathways, patios, waterfalls, and fireplaces. Concrete, along with brick and stone, is extremely durable. Get a modern look with concrete. Get straight lines, smooth curves, and a landscape that’s built to last. Texture can also be applied to a concrete pour to get a one-of-a-kind look. Can’t decide on the perfect material for your landscape? Don’t fret. Our landscape architect can aid you in making design decisions that fit with your property and home. We’ll work with you to settle on a design that’s ideal for your unique landscape and abode. Get in touch with the professional landscapers here at Jeff Fuller Designs to get started!